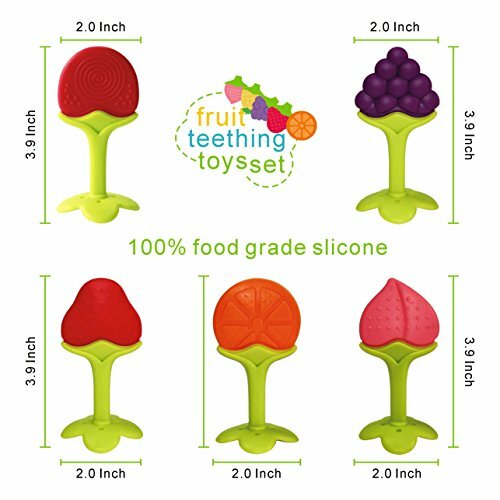 100% SAFE FOR YOUR BABY- Our baby teething toys are carefully made with soft and chewable silicone for the comfort and safety of babies.1、100% BABY SAFE: We made sure our Teething Toys are made with only non-toxic, non-artificial colors, BPA-free, and FDA-approved materials, 100% food-grade silicone, that ensure your baby’s safety! 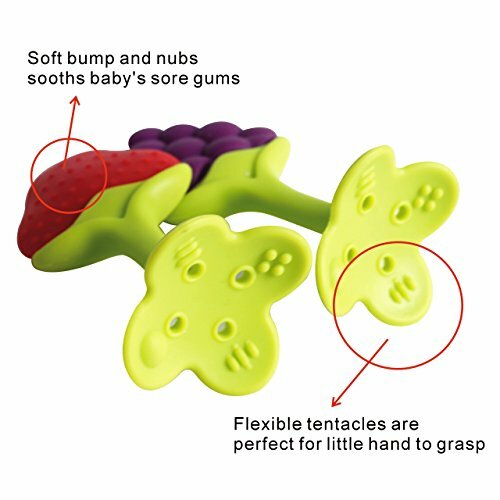 2、PERFECT SOLUTION FOR YOUR BABY’S TEETHING: Our baby teething come in different designs and unique textures, whit the grooves and bumps, to massage your baby’s gums in order to relieve soreness and alleviate discomfort while teething! 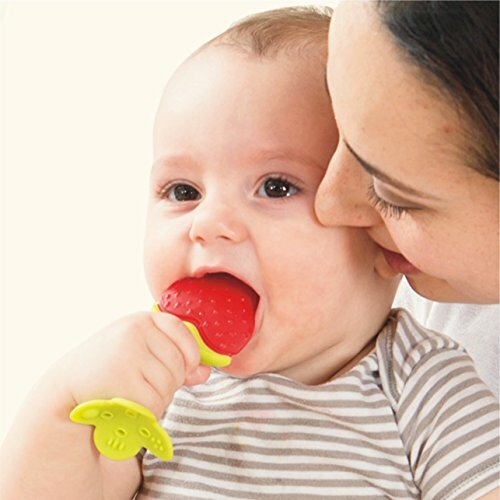 3、UNIQUE DESIGN FOR BABY: Baby loves the bright colors and the fruit shapes, The handle is just right for baby to hold,and the size is good for them to chew. Baby teething fit snugly in your baby’s mouth, but are just the right size to not pose a choking hazard. 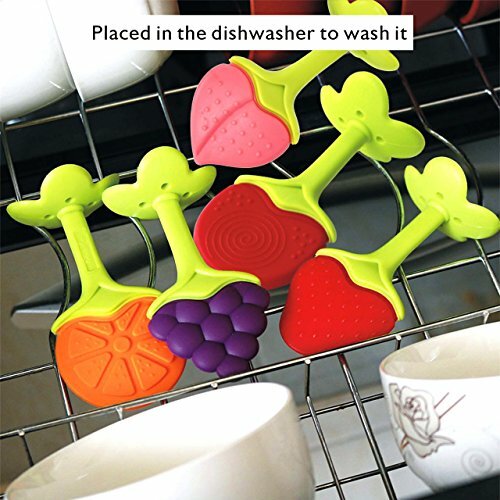 Our teether toys are designed for optimum comfort and safety! 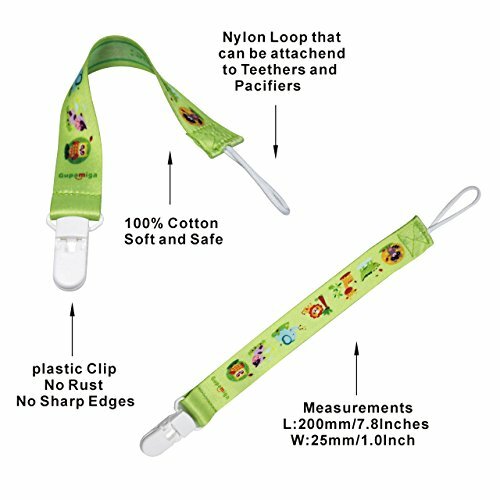 4、FREE PACIFIER CLIP: It comes with a pacifier clip to prevent the baby from dropping the baby teething toys to the ground .Help keep baby’s baby teething toys always clean and germ-free. 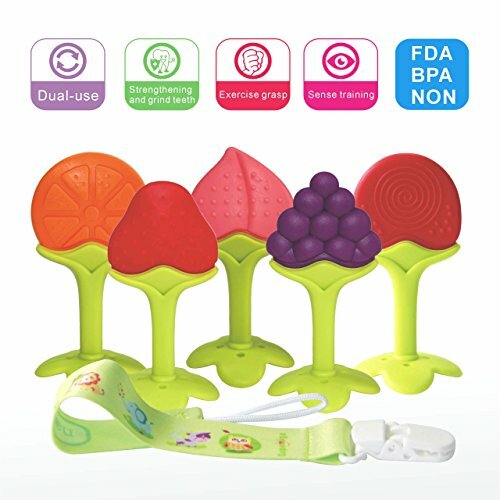 5、WOUNDFULLY GIFT: 5 fruit teethers (peach, watermelon, strawberry, pineapple and grapes) with pacifier clip/ holder beautifully encased in an environmentally friendly gift box. This offers amazing value and is perfect for your baby or as a gift!